This week the National Budget for FY 2017/18 will be read, and being an election year this budget may indicate how fiscal policy will be approached post-election. There are three issues with fiscal policy as articulated over the past few years. The first is sub-par revenue generation and unrealistic revenue targets. The economy grew at about 5.9 percent in 2016, yet the tax revenue forecast was raised by 8.7 percent. By December 2016, it was reported that the Kenya Revenue Authority (KRA) failed (once again) to meet its half-year target by KES 20 billion. This is not a new event; revenue targets are routinely not met begging the question as to whether or why unrealistic targets are set; this habit has to change in the upcoming budget. Kenya needs more realistic targets in order to more effectively anticipate debt requirements for the year. The second issue in fiscal policy is notable increases in expenditure. Please note that according to the Budget Policy Statement 2017/18 released in November 2016, the government seeks to curb non priority expenditures and release resources for more productive purposes. The BPS states an expected overall reduction in total expenditures resulting in a decline of the fiscal deficit (inclusive of grants) from KES 702 billion to KES 546.5 billion, equivalent to 7.5 percent of GDP. This is positive in that this fiscal deficit should be lower than the 9.3 percent of GDP for 2016/17. However, two problems linger; firstly a deficit of 7.5 percent is still above the preferred fiscal deficit ceiling of 5 percent. Secondly, it is almost certain that supplementary budgets that ramp up expenditure will be tabled over the course of the fiscal year. Just last month the government proposed KES 75.3 billion of additional expenditure for various ministries and government departments. Government has the problematic habit of creating what seem to be artificially narrow fiscal deficits and borrowing requirements during budget reading, only for these to be revised upward significantly over the course of the fiscal year. Finally, and linked to the point above, government has to rein in its debt appetite. 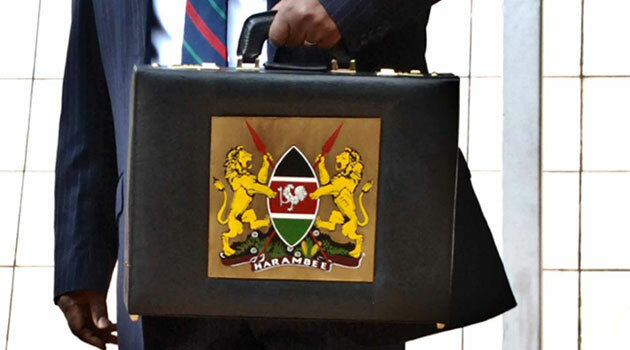 Growing expenditure, partially attributed to a bloated devolution-related wage allowances and benefits bills has contributed to government borrowing aggressively for capital expenditure. The debt to GDP ratio currently stands at 52.7 percent, up from 44.5 percent in 2013 and above Treasury’s 45 percent threshold. To be clear, the debt to GDP ratio in itself would not be worrying if there were clear and demonstrated action to manage debt levels more aggressively. The World Bank puts the tipping point for developing countries at a 64 percent debt to GDP ratio above which debt begins to compromise economic growth. Thus while there is still wiggle room, continued debt appetite juxtaposed with (or due to) subpar revenue generation means Kenya is headed towards debt unsustainability in the near future. It is hoped that the fiscal policy due to be read will provide detailed strategies on how revenue generated will be stimulated, expenditure cuts effected as well as the articulation of a clear and realistic debt management strategy. This entry was posted in Africa, Capital Markets, Development economics, Economics, Kenya, Political Economy and tagged debt, Debt to GDP Ratio, Expenditure, fiscal policy, Revenue generation.